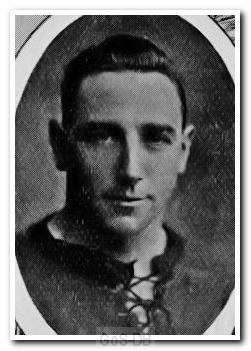 The Lancashire-born left-half started his career in non-League football with hometown Walkden before coming to the attention of neighbouring Manchester City in 1923. Making just six appearances for City, Smith found chances limited and drifted out of the Football League with Pontypridd. However, a move to Home Park in 1925 offered a swift return to League action, but with the arrival of Alec Hardie in March 1926, he decided to try his luck elsewhere. Moving the short distance to Torquay proved fruitful as he made over a century of appearances for United in a three year spell, the Gulls being his last League club.